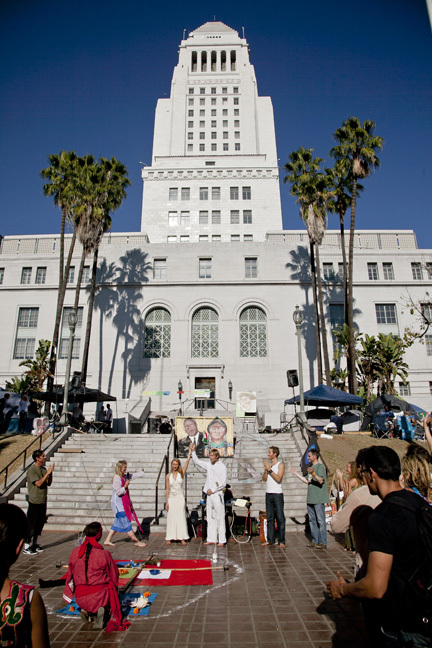 Day 29 at Occupy L.A. at L.A. city hall. 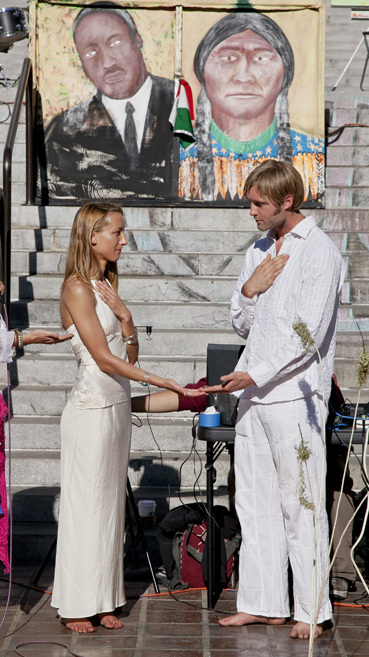 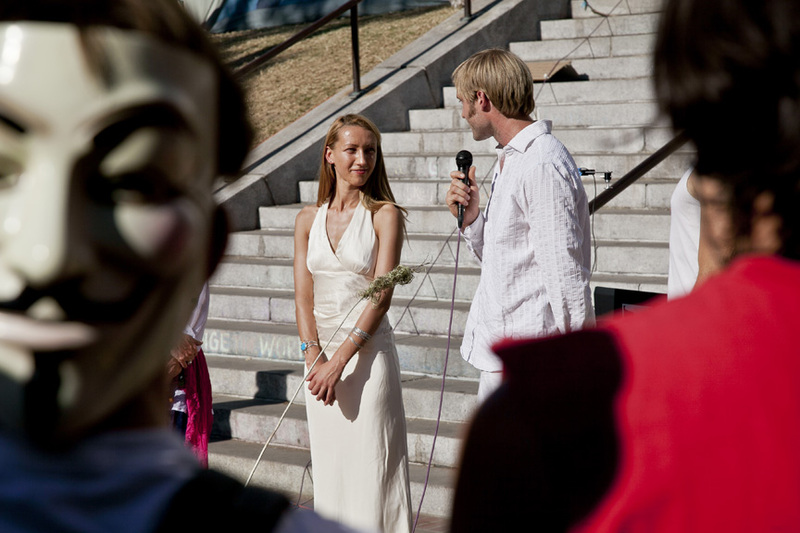 A wedding ceremony was held on the south steps for Jason Pennell and his bride Narchisha Bricoce. 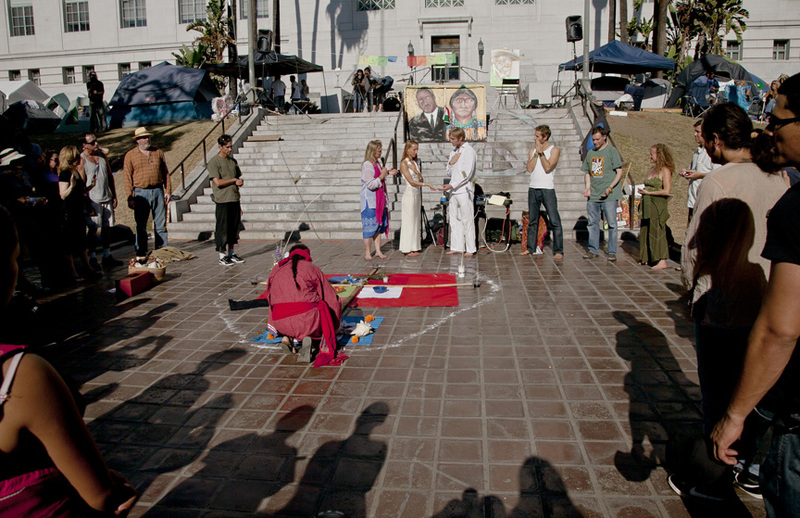 Ring ceremony Occupy L.A. style.